In tribute to Patti Smith, the High Priestess of Poetry and Rock 'n' Roll, I've assembled this collection of 18 hard-to-find recordings dating from the period since her return to the music world in the mid-'90s, to share with you all. A pair of CD singles for "Summer Cannibals", from her 1996 comeback album Gone Again , contribute four exclusive tracks: live versions of "Gone Again" and "People Have The Power" from Later with Jools Holland; an adaptation, with new verses by Patti, of Robert Johnson's "Come On In My Kitchen"; and an otherwise unreleased original (co-written with Lenny Kaye), "Come Back Little Sheba". From a promo EP released along with the 2000 Gung Ho album, we have another stompin' version of "Gone Again" alongside "Beneath The Southern Cross" and "Spell (Footnote to Howl)", Patti's rendering of Allen Ginsberg's incantatory poem (NOTE: language NSFW! ), featuring her adventurous clarinet playing. The cover lists these tracks as "Recorded live at the WXRT show at Riviera Hall, Chicago, 11/22/98". The disc also provides yet another "People Have The Power" "Recorded live at the Tibetan Freedom Concert, Randall's Island, NYC, 6/7/97". Another pair of songs here were released in tandem with Patti's covers album, Twelve : R.E.M. 's "Everybody Hurts" appeared as a bonus track on a limited, import edition of the album, while The Decemberists' "Here I Dreamt I Was An Architect" is from "Two More", a limited edition 7". (This track is encoded at 192 kbps.) If anyone has the version of Lou Reed's "Perfect Day" that was on the other side of that record and can make it available for download, please let us know via email or in the comments! UPDATE: see comments for a separate link to the version of Lou Reed's "Perfect Day", the other song from the Two More single. 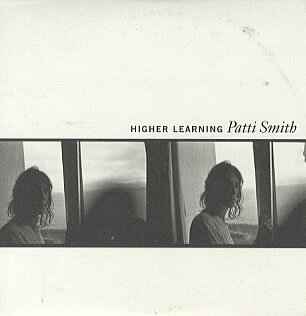 Two more tracks hail from, respectively, a promo single for Patti's career overview, Land (1975-2002) with a version of the song "Higher Learning", subitlted "(Contemplation)", live in Switzerland in 2001 and also featuring Patti blowing a clarinet; and the KCRW compilation Rare On Air Vol. 3 , with an acoustic "Dancing Barefoot" featuring Patti singing to a lone guitar (probably played by either Lenny Kaye or Oliver Ray; this track is encoded at 128 kbps). Finally, we have three explicitly political tracks self-released by Patti over the past decade. "Walker (Poor Fellah)" is about so-called "American Taliban" John Walker Lindh, a teenager captured by U.S. forces in Afghanistan in 2001, and the target of much post-9/11 rage; this appeared on a single-track CD recorded live on New Year's Eve at New York's Bowery Ballroom. The other two were made available on Patti's website: "Qana" responded to the Israeli airstrike on the Palestinian village of the title, which killed many civilians including several children. "Without Chains" concerns the plight of Murat Kurnaz, a Turkish citizen wrongfully detained in Guantanamo Bay for some four years. Stay tuned in the coming days and weeks for more great Patti stuff, including a powerful live disc recorded in France in 2004 and included as a bonus with an edition of the album Trampin' , and a nice interview released to promote Gung Ho, plus a few more scattered tracks I didn't have ready in time for this post -- Rare Stuff from a truly rare talent who's definitely got the stuff. we can turn the earth's revolution"
Except where indicated, all tracks encoded at 320 kbps to provide you aural pleasure. Wonderful. I've been looking for some of this stuff for a very long time. Thanks a lot ! Sent you a link for "perfect world" Thanks for the great website!! Zelig, JWW and Todd - you're welcome! And, Todd -- thanks a lot! It's fitting that the person who filled in this blank for us shares a name with Patti's own beloved brother, not to mention my brother too! : ) It sounds great - I even love the little needle-in-the-grooves record surface noise that sneaks in at the very end of the track - very atmospheric! Here's the link to Patti's cover of Lou Reed's "Perfect Day" @ beautiful 320 kbps. All together now -- "Thanks Todd!" Thanks! Great stuff. Have a great day! THANK YOU TODD + THE RARE STUFF (!! ), I have been searching high & low for Patti's Perfect Day since I saw her live in March earlier this year. Her rendition of this song brought me to tears, and I've been craving the Two More EP for my iPod ever since. 8 months (and a new iPod) later, its there. Does Here I Dreamt I Was An Architect actually slow down and get "warbly" toward the end, or is this a result of a bad turntable during the ripping process? Many thanks for this, I look forward to investigating your blog further. Repost of the Lou Reed cover please? Now, that I can do! Thank you so much for those gifts !!! can you repost Lou Reed cover, maybe in Mediafire? :/ please!!!! Repost Patti's cover of Lou Reed's "Perfect Day" @320 kbps please! do you know about the three promo singles published in Italy in the late 70's with 3 different picture sleeve??? hello friend can you reupload the patti smith 18 raarities and the big star bootleg via mediafire or 4shared, please? i have been searching for Patti Smith doing a song with babel field poem and not the newest one. This song has slight editing to the poem babel field. i think it was around 1075-1978. Can you help me. i had it recorded once from radio station KUSF and almost memorized the whole thing then i loaned it to a friend and he lost it my email is : bivouaco@hotmail.com. Any possibility of a reupload? Thanks.